Computers work by processing binary signals: on and off/zeroes and ones/High and Low voltage. In order to make a computer do something for you, you have to feed it with the appropriate sequence of zeroes and ones. This kind of sequence is called machine code; code that a machine can execute. As you can imagine, programming computers that way is very cumbersome, takes a lot of time and it is very error prone. In the very old days when computers spanned entire rooms, they were “programmed” by altering their electrical circuits. Much easier but still a lot of trouble. That is why we have moved to high-level programming languages like C++. In high level programming languages, a program is written using natural language keywords and some basic rules. Computers cannot of course “understand” high-level programming languages, so there are a couple of ways that you can “translate” your code to be understood by the machine. In the end, the processor nevertheless processes a signal of high and low voltages. 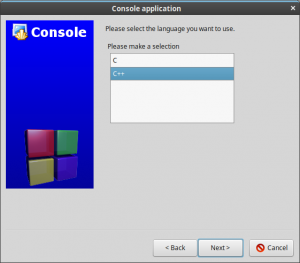 C++ uses a compiler to translate your code into object code. Then the linker combines this object code with libraries to produce an executable program that your computer can run! A good starting environment for C++ development is Code::Blocks. What is Code::blocks? 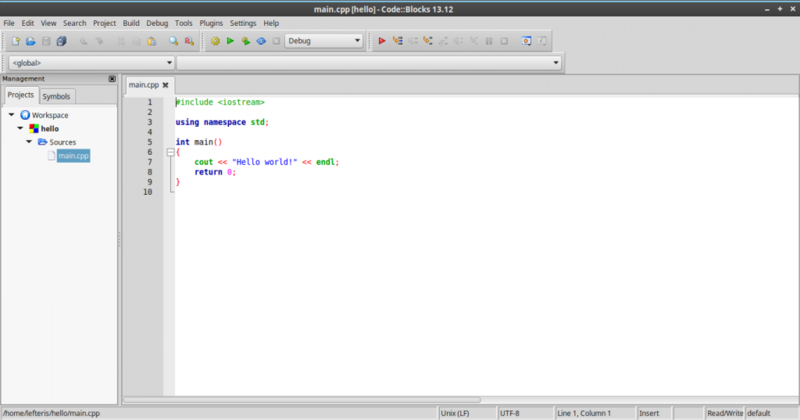 Code::blocks is an IDE (Integrated Development Environment). IDE means that it includes everything you need to write, build, run and debug programs. 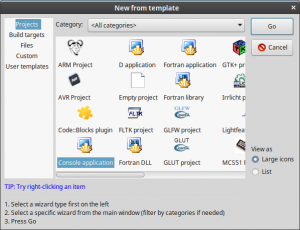 Other IDEs you can try are Eclipse and Visual Studio. Alternatively, you can use a text editor such as VSCode, Notepad++, Sublime Text and Vi to author your code. Then using a makefile and the command line you can build your programs. 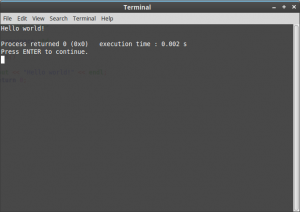 Printing hello world to the terminal is the most basic program in most programming languages. We are going to write such a program so we can test that our environment works. Your project is now ready! When you run your program through your IDE, in the background it uses command line programs, first the compiler on every source code file and then the linker to generate your executable. Then it uses another command line program to run it. An IDE is a program that manages project configurations and coordinates other programs that do the heavy lifting. Next time we are going to take a closer look to the hello world program.